The friendly atmosphere and location make this hotel ideal for families and couples looking for a convenient base for the surrounding area. The hotel features an outdoor swimming pool, childrens pool and outdoor jacuzzi with surrounding sun-terrace furnished with loungers and umbrellas. There is also a childrens playground and spacious lawn areas. Leisure facilities include a TV room, kids club as well as a daytime and evening entertainment programme. For an additional charge guests may use the sauna and Turkish bath, hair-salon, massage service and souvenir shop. Standard room facilities include a full bathroom, air-conditioning (15 Jun-15 Sept), heating, telephone, TV and a balcony or terrace. A safe deposit box is available to hire locally. The All Inclusive package includes all meals; breakfast, lunch and dinner, served buffet style in the main restaurant. A variety of snacks are available at selected times during the day, and ice-cream for children is offered from 10am until 6pm. Locally produced alcoholic and soft drinks like beer, house wine, sangria, whiskey, gin, vodka, rum, brandy, refreshments, tea & coffee, mineral water, etc are served from 10am until midnight. 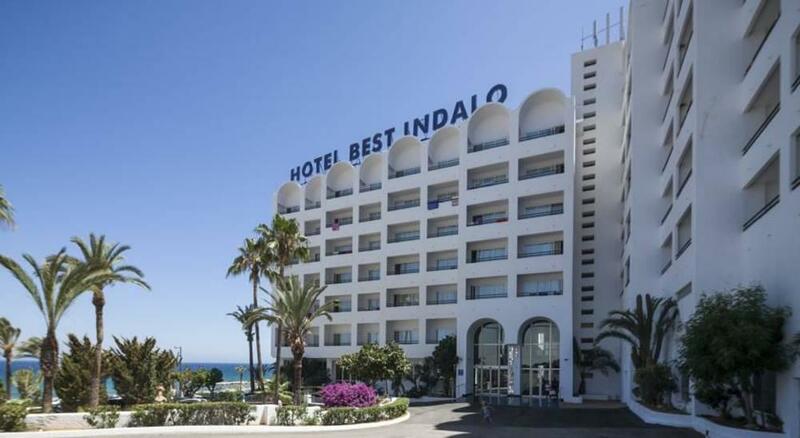 Located approx 3km from the centre of Mojacar and directly opposite the beach. 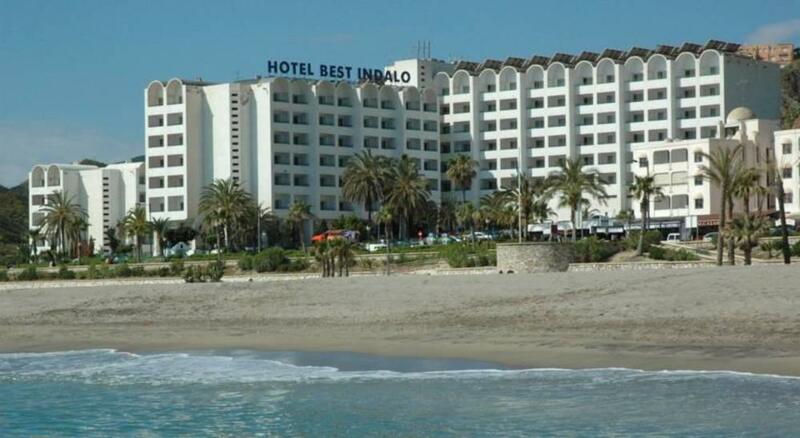 The resort of Mojacar is approx 87km from Almeria Airport. Room was good with tea making facilities but only 2 paper cups that were not replaced during our 4 day stay. Breakfast ok but the chef cooking to order (omelettes etc) seemed to serve the Spanish first. You could be first in line and then 3 behind you would be served while you wait immediately in front of the Chef. Otherwise the hotel is clean and polished. Great location with superb views, some of the sea and some along the coast towards Carboneras. Food, rooms and facilities are all very good quality. However, a lack of Viña Aldase tinto wine, clearly advertised in their wine lists, was typically not available, a general experience we've encountered throughout the Best Hotels chain. I've already had a whinge about this problem on another review site. Typical Spanish hotel, superb views. A bit expensive on drinks, but loads of bars around. On arrival was told that they had a flood that morning, so we and another couple was transferred to their other hotel in Mojacar (Best Peublo Hotel) which they said was as good, but it was only 3 stars and was self catering apartments, also had to walk a long way up hill with cases as the room was a long way from the amenities. Dining hall was like a school canteen as there was a lot of teenagers there, and groups of young adults. We returned to original hotel the next day to complain and they said they could now accommodate us, (which makes me feel that they had overbooked) having accepted the offer to return to the hotel we lost another day packing up to move to our original hotel. The hotel is clean and wonderful value for money. Helpful staff although English visitors must remember it's mainly Spanish visitors out of season. The rooms are very comfortable and clean, there are fridges and optional safe deposit boxes. The garden area is very nice with trees which give shade and towels are provided for a small deposit. There is secure car parking available for 9 euros a day which I think is very expensive but it does solve the worry of finding somewhere to park. We have been back to the Best Indalo many years and seen many changes all for the better. Lovely hotel, pleasant staff. Pleasant room with an excellent sea view. Plenty of sun loungers round the pool and in the quieter gardens. Lots of choice at meal times, you definitely won't go hungry. The pool bar has a self service area for all inclusive guests to get soft drinks or beer which helped if there was a queue. There were more Spanish guests than English and therefore a lot of the entertainment was in Spanish, but hey the hotel is in Spain! We went as an older couple and loved it, we got on well with everyone. The hotel is just across the road from a lovely uncrowded beach too. Hope to stay here again.